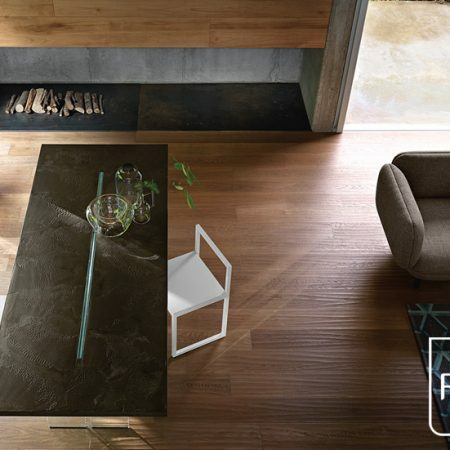 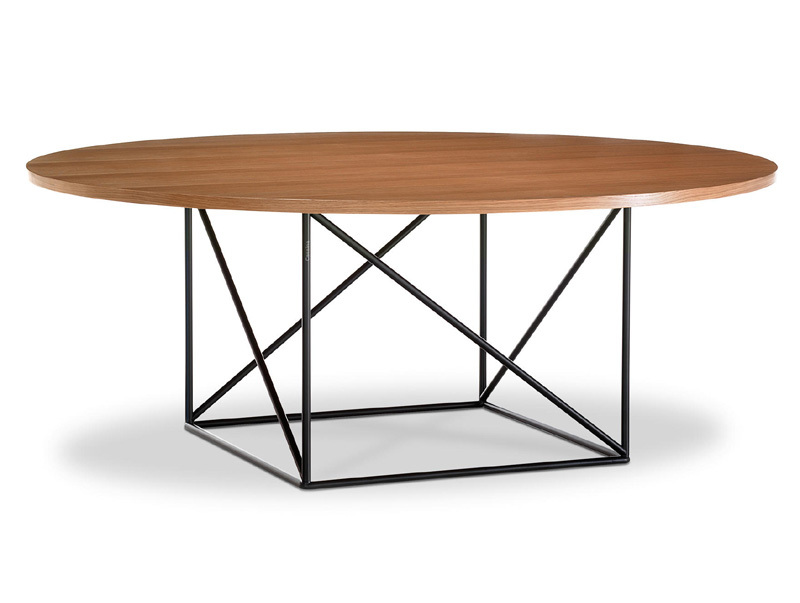 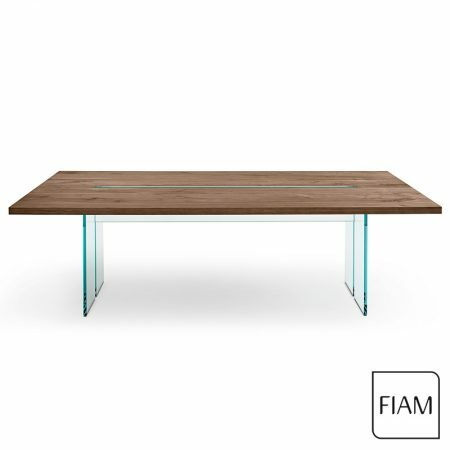 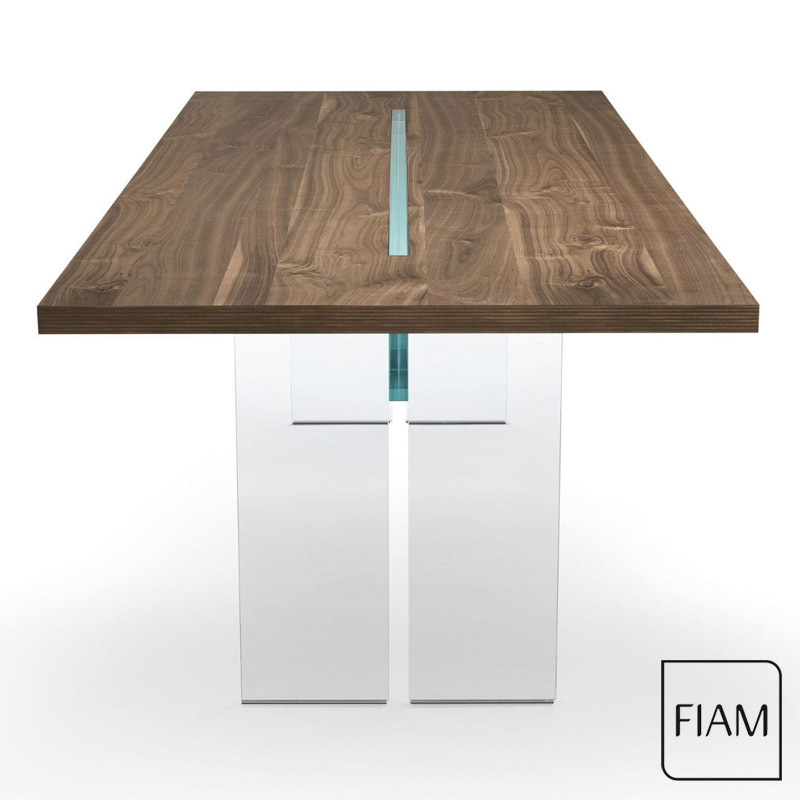 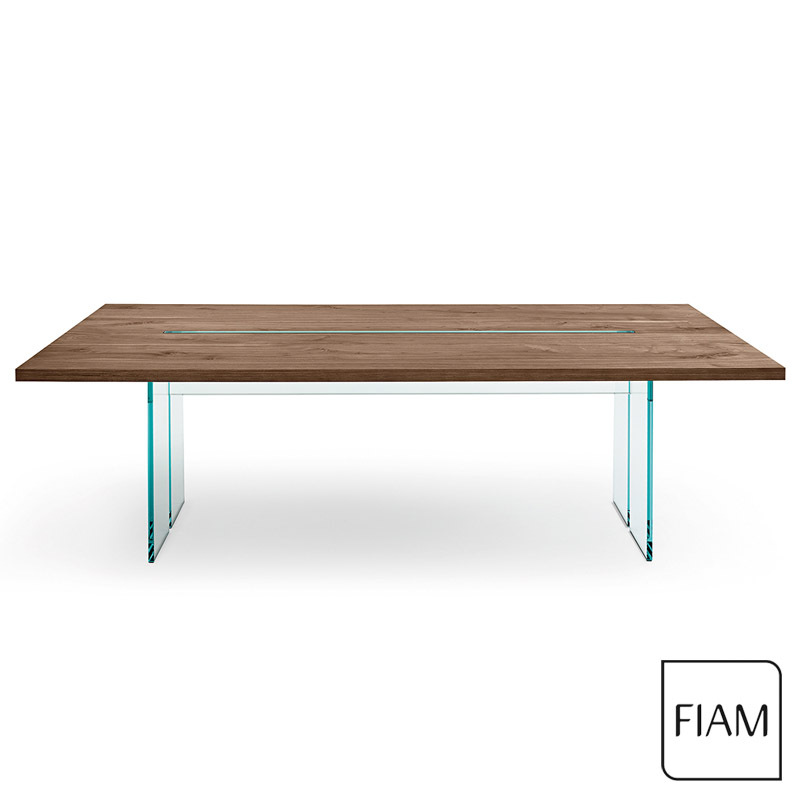 Table with top in 40 mm multilayered marine plywood veneered, canaletto walnut, “old style” oak finish or heat-treated oak finish, or in wood hand-finished with Ecomalta for textured effect, available in various colours: Clay brown, Mud brown M25, Lime grey M42. 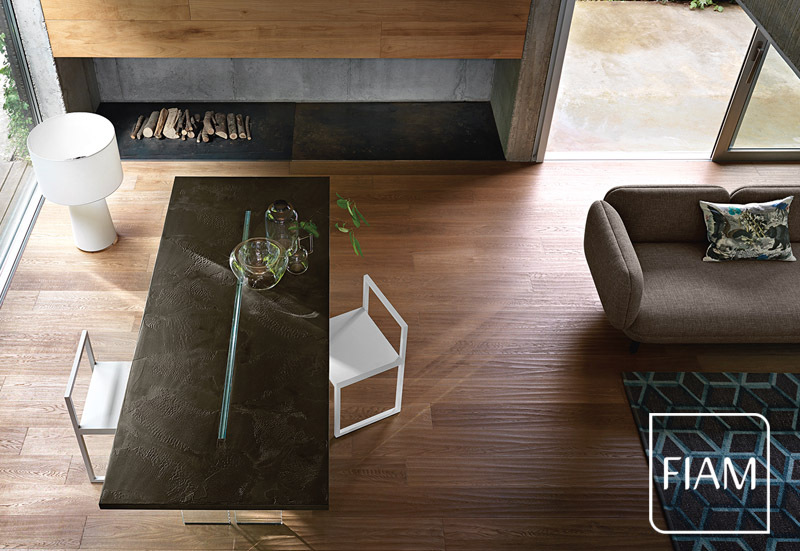 Rough texture finish. 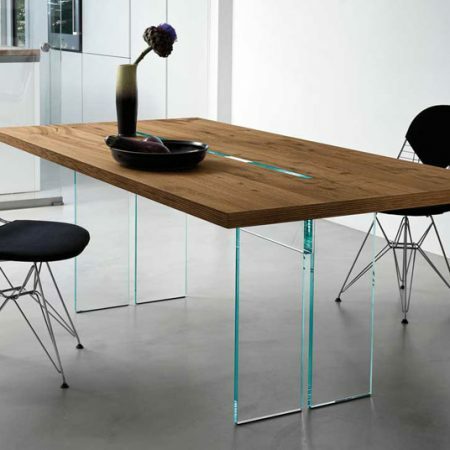 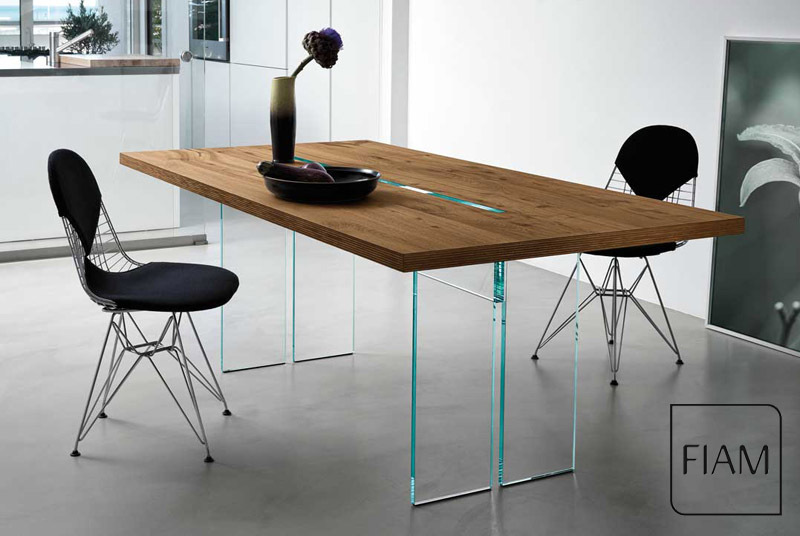 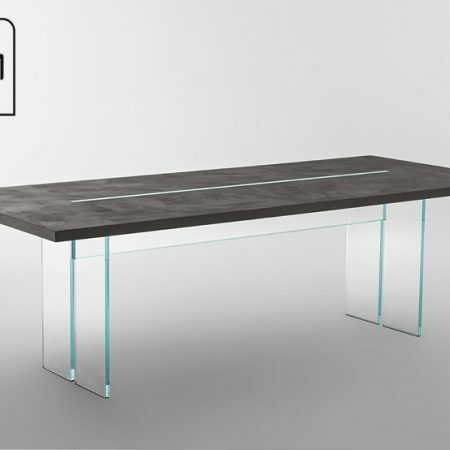 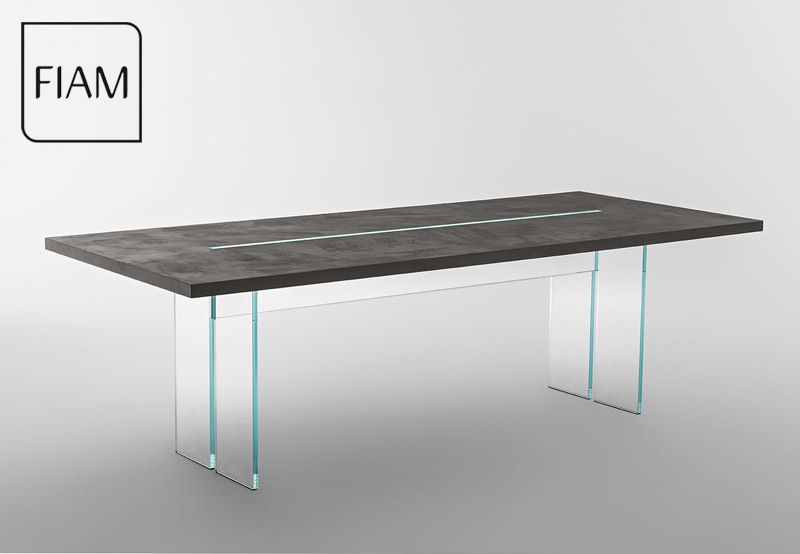 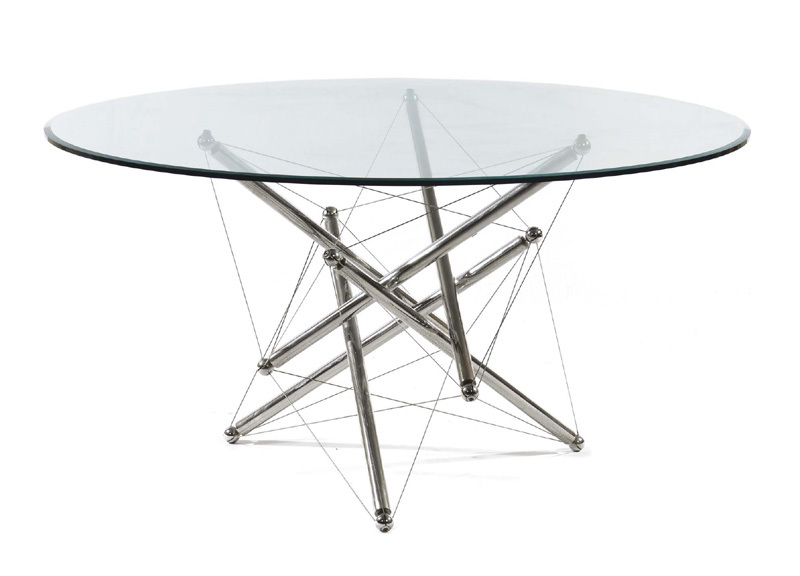 Structure in 30 mm layered glass, transparent or extralight and legs in 19 mm transparent or extralight glass.